The National Bassett Family reunion in 2007 will be held in Boston, Massachusetts from Friday, August 3rd until Sunday, August 5th at the Constitution Inn. A link to this hotel is below. The rates below are very reasonable, especially for current or retired members of the military. Please let me know if you might be interested in attending. I need to reserve a block of rooms as soon as possible for that weekend and want to make sure everyone that plans to come has a place to stay. For both civilian and military, an extra $30 will reserve a two room suite that will sleep 4 adults or two adults with children. * military ID card will give a reduced rate to a person who has a current military ID card for active, reserve, retired and includes DOD personnel. The Constitution Inn provides low cost accommodations for military members, their family and guest. A current ID card must be shown at the time of checking in. Most rooms have kitchenettes and is walking distance to the wharf where the USS Constitution is berth in Charlestown and the $1 shuttle pier to Rowe Wharf downtown Boston. You can now search the Missouri Death Index online at the link below. This index is more deaths in Missouri from 1910-1950. You can currently see and print the death certificates for the years 1910-1924. This is a valuable new tool for anyone with ancestors from Missouri. Thanks to Helen Bassett for fowarding this link to me. I have not yet found which family Mary Bassett belongs to, but found the story interesting. Ten thousand dollars in currency, so faded and worn that it will be sent to Washington for redemption, has been found in a bustle that was worn for many years by Mrs. Mary Bassett, who died suddenly at her home in the town a few days ago. None of the bills is of a more recent issue than 1886. Mrs. Bassett distrusted modern banking institutions and always wore a bustle when away from home. In a search of her house after death, relatives had found about $7,000 hidden in a hundred places, one of the searchers picked up the bustle and was about to throw it away when his attention was attracted by a rustling of paper. That would be worth more than $350,000 U.S. in todays dollars! Ann Bassett who married William Smith. Mary Bassett who married William Hall. Ann Bassett and William Smith had a son, William Smith, born 1830. Mary Bassett and William Hall had a daughter, Anne Eliza Hall. William Smith and Anne Eliza Hall married. William Smith changed his name to William Bassett-Smith on 29 Mar 1881. 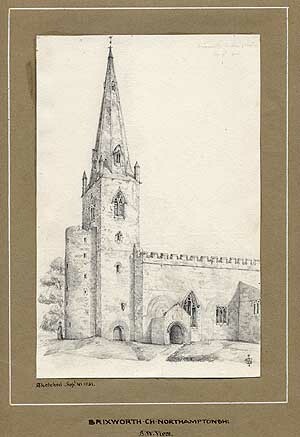 William Bassett-Smith was a noted architect in England. To read more about William Bassett-Smith, click on the link below. If anyone has access to the following memoir, I would love to get a copy to see if tells more about the history of this Bassett line. The William Bassett listed is a cousin to William Bassett-Smith. On April 15, 1955 the Boston Authors' Club honored Sara Ware Bassett, one of its most loyal and active members, on the publication of her fiftieth book. For more than forty years Miss Bassett has written her pleasant novels of New England life. At eighty-four she is busily at work on a new novel scheduled for publication in 1957. A small and fragile-looking lady who has lived all her life in Massachusetts, Miss Bassett shuns publicity. "I prefer to be represented by my work," she writes, "I love my writing. It is my boon companion." A descendant of William Bassett who came to Plymouth, Massachusetts on the Fortune in 1621 and joined the Pilgrims' colony, Sara Ware Bassett was born in Newton, Massachusetts, October 22, 1872, to Charles Warren and Anna Augusta (Haley) Bassett. She spent her childhood and early girlhood in Newton, studying in the Newton public schools and graduating from the Newton High School in 1892. In the same year she entered the Lowell School of Design, then a part of the Massachusetts Institute of Technology in Cambridge, where she completed a program in textile design. She never worked professionally in the field, however. In 1894 she decided to become a kindergarten teacher, and after five years of study at the Symonds Kindergarten Training School in Boston, she obtained a position in the Newton public schools which she held from 1897 to 1917. With a teaching schedule of a little more than two hours a day, Miss Bassett had time to continue her studies in the three fields which interested her most - English, psychology, and philosophy. She took courses at Radcliffe College in Cambridge under such distinguished professors as Charles T. Copeland ("Copey"), Josiah Royce, and George Herbert Palmer. She also studied at Boston University under Dallas Lore Sharp. Miss Bassett had by this time resolved to become a writer, but, as she explains, "I was ill satisfied with my work and was determined to learn how to 'handle my tools'." Encouraged by all her teachers, but especially by Professor Charp, she began her first novel, and this was published in 1915 by George H. Doran under the The Taming of Zenas Henry (made into a silent motion picture by RKO). In the forty years since this time, Miss Bassett has published thirty novels, her latest To Each His Dream in 1955 (Doubleday). 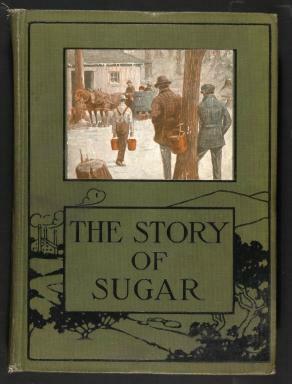 She has also written a number of books for children: a group in the Industrial Book series for the Penn Publishing Company from 1912 to 1920 (The Story of Lumber, The Story of Wool, The Story of Glass, etc. ); another group for the Invention Series published by Little, Brown from 1920 to 1926 (Paul and the Printing Press, Steve and the Steam Engine, etc. ); and again for Penn in 1926 to 1927 two volumes in the Discovery Series, The Story of Columbus, The Story of Vasco da Gama. With George L. Shuman she wrote Industries of the World (1914) and with E.T. Holmes A Wonderful Fifty Years (1917, privately printed). Most of Miss Bassett's novels are set on Cape Cod, Massachusetts where (except for two trips to England and the Continent) she has spent all her summers since she was in her teens. "I have sought to put into my novels its atmosphere, the fragrance of its pines, the blueness of its sea, the emerald of its salt marshes. I have also tried to present sincerely the humor of the Cape Codder, his common sense, his sterling qualities." Reviewers have generally agreed that Miss Bassett has succeeded in this intention. Her novels, Lisle Bell remarked in the New York Herald Tribune in 1943, are "wholesome and folksy, touched with native humor and the spirit of neighborliness." In a review of her novel Heart's Haven (Doubleday, 1944), the New York Times (July 9, 1944) commented: "Widely known for the flavor of authenticity she brings to her stories by right of heritage, the author is at her best when describing the natives of the small village of Belleport and letting you listen in on their gossip and salty philosophizing." It is not Miss Bassett's purpose to portray the grimmer aspects of the modern world nor to explore in depth the complexities of human life. On the eve of World War II, the Saturday Review of Literature (July 1, 1939) complained that her novel A Son of the Sea (Doubleday, 1939) with "its absence of contemporary insecurity, tenseness, and quickness, belongs in those great days of the Atlantic Monthly which preceded the Civil War. It was designed for that saintly white-haired grandmother who in advertisements is all day sitting and knitting and dreaming; it is tender, conventional, and unreal as she is." To the large public that seeks escape in pleasant romantic fiction, however, Miss Bassett's novels, soundly based as they are in the spirit and flavor of rural and smalltown New England life, remain sturdy favorites. Miss Bassett does all her writing at the Boston Athenaeum (of which she is a proprietor) where she is free from the interruptions of telephone calls and visitors. She lives with her sister, a retired physician, in an old house on Beacon Hill in Boston. Her favorite recreations are "a good book, a good play, good music." She rarely listens to the radio and has never watched television. She is proud of her strong family tradition ("although we have traveled, our family have never lived outside Massachusetts since 1621") and states her convictions simply but firmly: "I stand for what is clean, decent, and upholds our religious and moral standards." Largely due to the results of DNA testing, it has been found that #113B George Bassett of New York City is a son of Arthur Bassett of County Down, Ireland. The first test below is a documented descendant of the Bassetts of County Down. A descendant of #113B George Bassett is shown next, showing a 25/25 match proving that these two Bassetts line share a common male Bassett ancestor. Originally we have no idea where in Ireland George Bassett was from, but with this new evidence, we have now placed him as a son of Arthur Bassett.